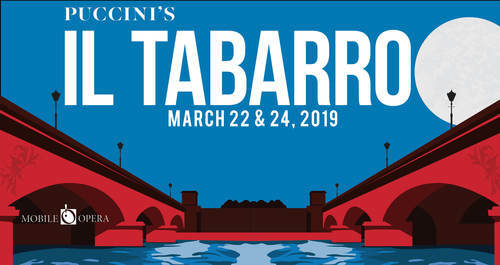 Mobile Opera Presents Puccini's "Il tabarro"
Unless otherwise stated, photo provided by Mobile Opera Presents Puccini's "Il tabarro"
The dark drama of Puccini's trilogy that includes Gianni Schicchi and Suor Angelica. Sonorous music sets the stage for suspicion, jealousy and murder as only the master, Puccini, can. Call today to reserve your tickets! At the corner of St. Francis St. and N. Clairborne St.